Purchasing a laser for your business can be confusing and costly — you do not want to make the wrong choice. There are many lasers on the market and the right purchase is the difference between increased profits or a lousy investment. Acara Partners has purchased and negotiated over 50 lasers for our clients; we wish to impart our vast experience with the laser market onto you. 1. What Laser companies do I want to receive quotes from? Do they offer a device that meets my needs? Are they a Manufacturer or Distributor? Do they have their own service team? 2. Who can I speak to that has used the same laser for at least 3 years? 3. Can I have a demonstration and test drive the laser prior to purchasing? 4. How adaptable is the system for future upgrades? Can additional lasers be placed into the system? If you come out with a newer version how do I upgrade and what is the cost factor? 5. What marketing support do I receive from your company? What consumer advertising has been done? What marketing support materials are available? Is there an online portal to access this information? Will you support an event to launch the laser services? 6. Are there any consumables? 7. 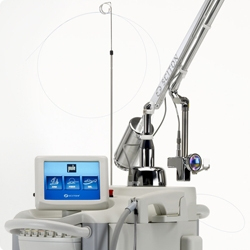 What training is included with the purchase of the laser? How many on my team will be trained? Can I buy additional training? 8. What type of warranty/service agreement is included with the purchase of the laser? Can I purchase additional years of warranty up front at a discount? What is the turnaround time for a service call? What is the number of service calls per laser per year? What is the process to place a service call? What internal diagnostics are in the laser to help with the service process? What wavelengths or filters are available? What are the deliverable spot sizes/footprints? What is the range of energies at each deliverable spot size? What is the deliverable pulse time in milliseconds at each of those settings? What is the wattage ability of the cooling system for the patient? What is the cooling range in degrees celcius? Is this a 110v or 220v system and why that choice? 10. How much does the laser cost? Make sure you document the answers to all of your questions comparing each company and or device side by side. Remember, you are about to make a very significant investment, you need to give it the appropriate amount of time needed to make a sound business decision. And there is one more significant business decision to remember — how you plan to introduce the new services to the market once you finalize your laser purchase. Don’t be the victim of “dusty laser syndrome,” communicate your laser procedure message loudly when you launch your new laser. If you need further advice or assistance with your medical laser purchase, Acara Partners can help. We can be reached at 203.488.0028.